It’s only January 4th and so far it’s been an eventful year! We kicked of New Year’s Day with Penn State losing the Rose Bowl to USC. Bill and I had been lamenting the fact that due to me being 33 weeks pregnant we were not able to travel to Pasadena this year for the game. But we know that PSU will be back there someday and we plan to be there to cheer them on, live, next time. On Friday January 2nd my friend Kristina, who lives in Minneapolis, gave birth to her and Jason’s first child, a girl named Lillian Kaye. Kristina was a week behind me in her pregnancy and we were all hoping Lillian would be able to wait at least another two weeks before making her big debut. However, this little girl is a force to be reckoned with and came incredibly early. She was born at a very small 3 pounds 13 ounces and she has been in NICU. From what I’ve been told she will need to remain there for about another four weeks. She has been improving and today was taken off oxygen and is breathing what Kristina deemed “room air” with minimal assistance. Go get ’em Lillian! We are so happy for Kristina and Jason and we will keep their little family, and especially Lillian in our prayers. In yet another surprise, tonight the Philadelphia Eagles defeated the Minnesota Vikings to move on to the next round of the NFL playoffs. We are looking forward to yet another weekend of football for one of our teams. E-A-G-L-E-S…..EAGLES!!! Whew, that’s a lot in just four days. I can only imagine what else lies in store for us this year. We are very much looking forward to the arrival of Squirt and we think that Rylee is starting to somewhat understand things. She still loves to lift my shirt and rub my belly. Some days, like today, she likes to give the baby hugs & kisses too. I hope this continues when Squirt is no longer in my belly! 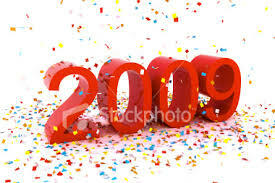 I’d like to wish you all a Very Happy 2009. I hope this is a year full of excitement & fun for you and your families. Check in here to find out what the year brings for the Mas. Woohoo! First Penn State senior class to win two conference championships! Unfortunately, it comes with that other ugly thing.